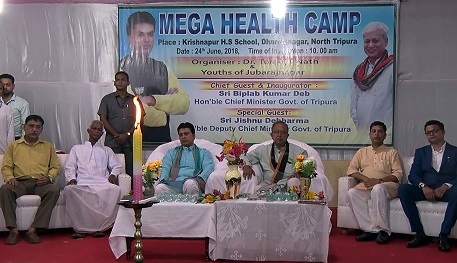 Medical students in Tripura after passing the final examination will now have to work in the state or else have to pay Rs 50 lakh to the state government. The state has a shortage of around 575 doctors. The state government is further taking initiative to bring technicians in the state with a salary of Rs 3 lakh per month, Deb said. The previous state government never took this initiative to work for the development of the people of Tripura and blamed central government whereas the central government was always keen to help the state, the chief minister said. As a part of the program North SP Manik Dey and others remained present.